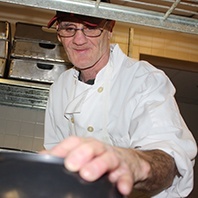 Whether it’s sharing laughs with his coworkers at Serb Hall, riding his bike around Milwaukee, or playing basketball, Joey has a good time in any situation- even cleaning his house! 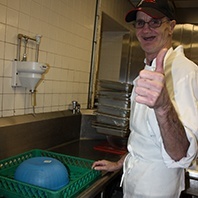 Joey works as a dishwasher and assists with food preparation at Serb Hall. 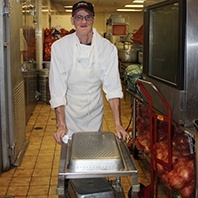 He began his employment in December 2014 and he was supported by Wisconsin Division of Vocational Rehabilitation (DVR). 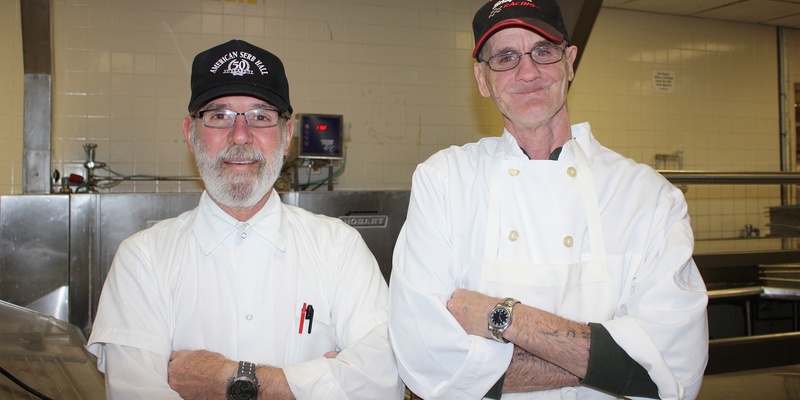 He says that he works with people “that are very nice.” Serb Hall is known for their popular Friday Fish Fry’s and Joey is right in the middle of the action, breading the fish and placing the trays of breaded fish in the cooler. The next fun work task that Joey is looking forward to also involves food. He will be helping Chef Louis on his Puerto Rican food truck once it’s open for business. With all the neat things Joey is apart of, it’s no wonder he’s having so much fun!